Antwerp, 1593, Italian edition. 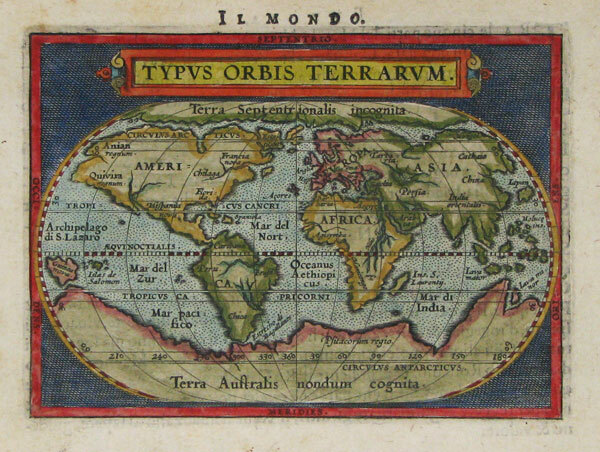 The World and four continents from the first Italian edition of Ortelius's Epitome, using the plates engraved by Galle. 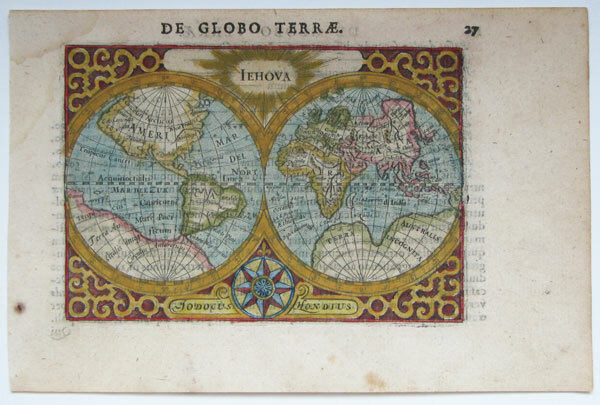 Amsterdam, c1606, A fine set of miniature maps, consisting of two world maps (a double-hemisphere and an oval. both signed by Jodocus Hondius, and four maps of the continents. These are printed from the first set of printing plates, with the narrow borders without longitude and latitude marks. Paris, c.1845. A fine set, each map with bright body colour on the maps, within a highly decorative engraved border, with vignettes of views, costumes and animals. 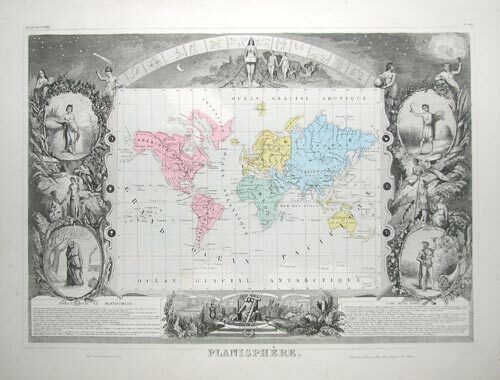 Published in one of the last decorative atlases, the 'Atlas Universel Illustré', which, unlike earlier sets, has grouped the East Indies, Australasia and the Pacific on one plate, 'Océanie'. On the map of the Americas Texas is a republic: the population table gives it a population of only 200,000.